Rep. Garth Everett (R-Lycoming), who represents Pennsylvania on the interstate Chesapeake Bay Commission, Tuesday introduced a bipartisan resolution-- House Resolution 908-- calling for a study of a new water use fee to fund water quality improvement programs. The resolution was co-sponsored by Rep. David Millard (R-Columbia), Rep. Curtis Thomas (D-Philadelphia), Rep. Jeff Wheeland (R-Lycoming), Rep. Mark Rozzi (D-Berks), Rep. Michael O’Brien (D-Philadelphia) and Rep. Sandra Major (R-Susquehanna). “As a member of the Pennsylvania Delegation of the Chesapeake Bay Commission and the Environmental Resources & Energy, Game & Fisheries and Appropriations Committees, I am acutely aware of the challenges facing our water resources and water quality here in Pennsylvania and the need to come up with innovative funding mechanisms to reinvest in our land and water and the programs and agencies charged with their stewardship,” said Rep. Everett. “Pennsylvania is estimated to have more than 86,000 miles of streams and rivers, nearly 4,000 lakes covering 161,455 acres, and 80 trillion gallons of groundwater,” explained Rep. Everett. “The commercial demand for these waters continues to grow, with daily withdrawals of billions of gallons of the Commonwealth’s surface and groundwater. Rep. Everett’s resolution directs the Legislative Budget and Finance Committee to conduct a study of the establishment, implementation, and administration of fees for the consumptive use and the use and return of “waters of the Commonwealth” by industrial and commercial users. The study would look at the establishment of both a royalty fee for the consumptive use of water and a royalty fee for water used and returned. It would examine proposed and successful attempts of other states to assess fees for the use of water; identify the uses to which the fees would apply; estimate the revenue generating potential of the fees; and evaluate how to assess, collect, and manage the proceeds of the royalty fees. The study would also make recommendations on creating a new Water Quality Improvement Fund and on how the proceeds of the fees might be apportioned among the major watersheds in the Commonwealth and the departments and agencies involved in water quality efforts in Pennsylvania. Examples might be funding for Growing Greener, water quality improvements to meet our Chesapeake Bay and other TMDL requirements and cleanup of our many impaired streams. “Please join me in the pursuit of constructive solutions to meet our constitutional obligation to the citizens of Pennsylvania to provide pure water and to the preserve the natural values of our environment by co-sponsoring this Resolution,” said Rep. Everett in his co-sponsor memo to colleagues. The resolution was referred to the House Environmental Resources and Energy Committee for consideration. 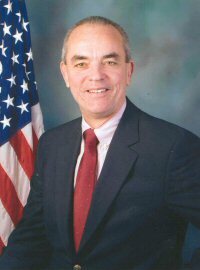 Rep. John Maher (R-Allegheny) serves as Majority Chair of the House Environmental Committee and can be contacted by sending email to: jmaher@pahousegop.com. Rep. Greg Vitali (D-Delaware) serves as Minority Chair and can be contacted by sending email to: gvitali@pahouse.net. Directing the Legislative Budget and Finance Committee to conduct a study of the establishment, implementation and a administration of fees for the use of water for the purpose of creating a Water Quality Improvement Fund. RESOLVED, That the Legislative Budget and Finance Committee report all findings and conclusions on this issue to the House of Representatives within 12 months of the adoption of this resolution.